Packaging Dimension (กxยxส) 8x12x1.5 ซม. They are small, but powerful. They are not big, but power big things. They are the Fujitsu Lithium range. Your computer could not work without 2032 model, other types are used to power various medical devices, remote controls and other electronic devices. 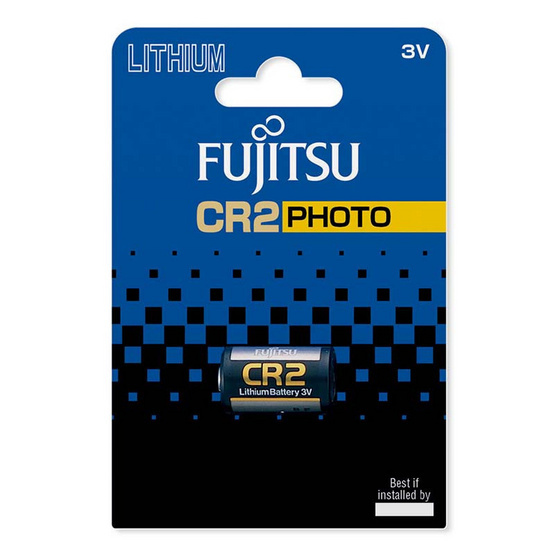 The CR2 model is commonly used to power cameras.